Wow! We had a spectacular time!!! 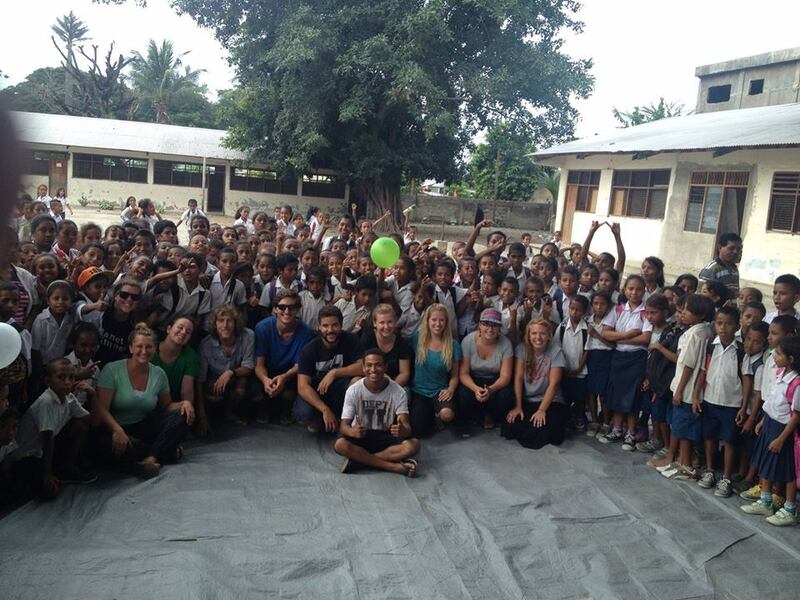 The Lord was so good, we made such a close family connection with the YWAM base in Dili! 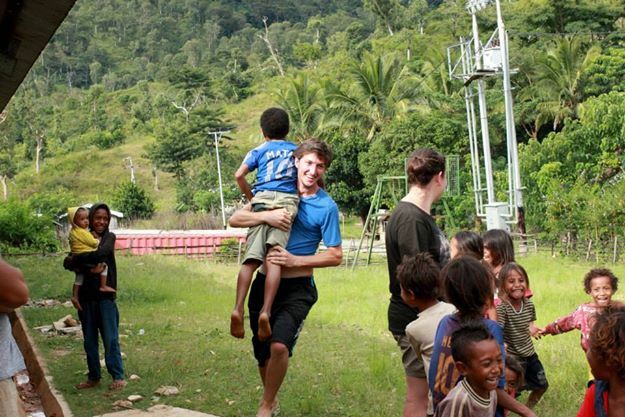 I really don’t even know how to describe how serving and loving they were! There are 8 staff there, most of them full time missionaries from Brazil! They welcomed us in immediately as family. We did all the ministries as a team, not just us and them, and their insane servant hearts really gave our team such an inspiration to grow our servant hearts as well! 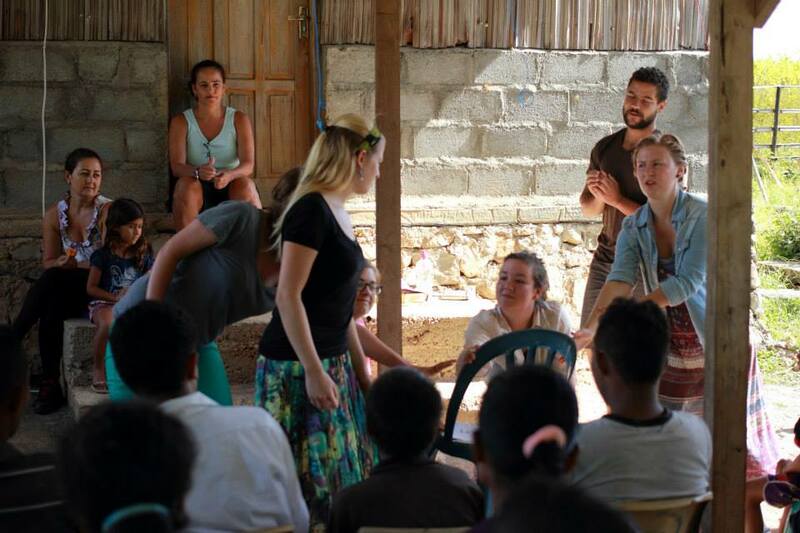 Testimony: We ended up getting to teach in a Roman Catholic school very near the base, and it was an amazing opportunity for YWAM Dili because that particular school had never allowed Christians in before! We were able to share a Christian skit and get the kids doing the actions of “Our God is So Big” and “We wanna see Jesus lifted high”. The kids and teachers all had a blast! 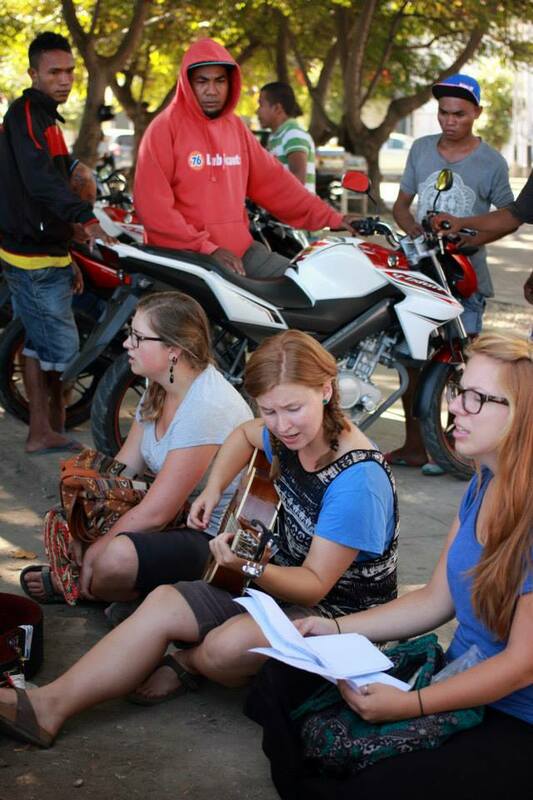 Testimony: Our team had tears in our eyes as we did some songs with them and they were so happy! Even though they couldn’t hear the songs, they were able to have them translated and they did the actions with us! It was beautiful! Worship on the streets! 🙂 Had about 30 men gathered around watching us! Testimony: This was amazing!!! We did worship everywhere we went and we could all feel the atmospheres shifting. One place (where this picture is from) we stopped was in front of a bikers’ hangout! We sat down and started worshiping and our translator was saying during the first song that we should leave because it was a really bad place spiritually. As we finished up the song and we were feeling something happening, he said, “Keep going, keep going!”. By the end of the second song, the heaviness in the place had completely lifted and 30 guys had come close to watch and listen. 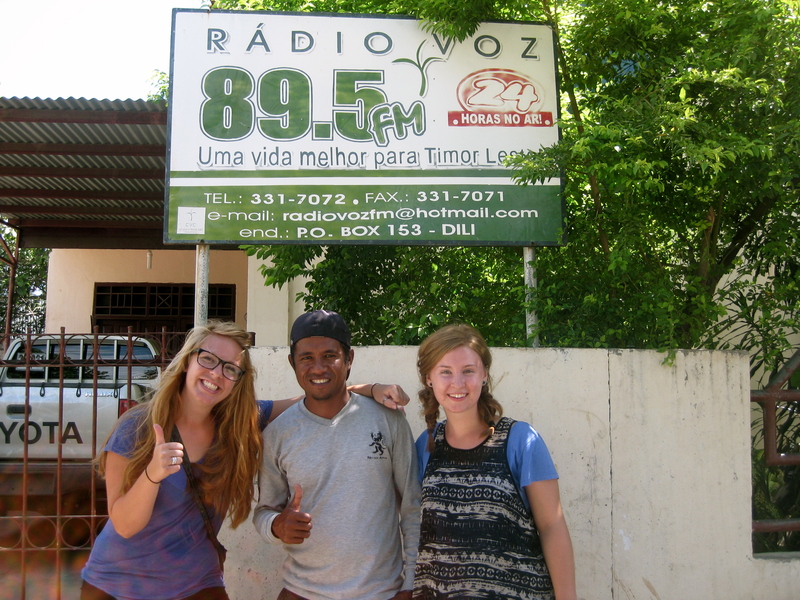 Testimony: 3 groups of us were able to speak on the radio, sharing testimonies and wisdom for the people of East Timor. We also got to play some worship songs as well! One of the times, the other part of the team was driving home from another ministry and we heard them on the radio. It was pretty crazy! Also, one of the ladies from our host’s church told her that it really encouraged and ministered to her. It was so fun! I haven’t spoken on a radio since I was 13, and apparently hundreds of people listen to it weekly. Craaaazy!! 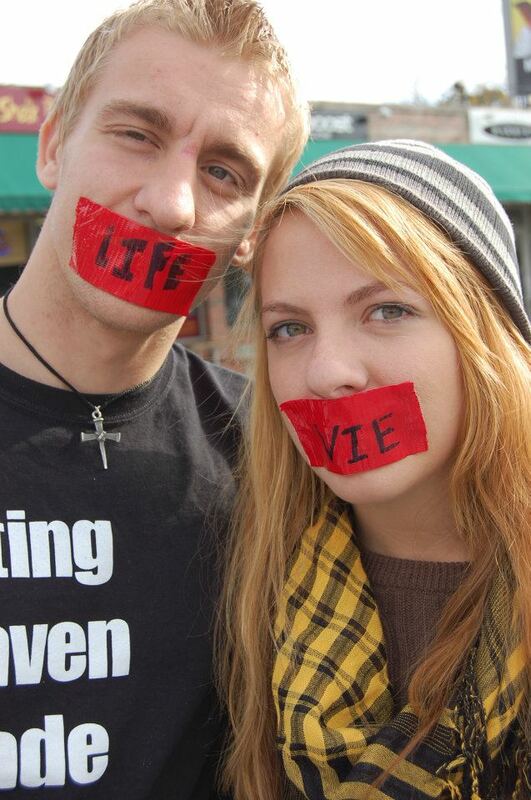 Testimony: One of our planned ministries got cancelled so we ended up doing some evangelism and our students rocked it! They were so eager! It took a little pushing out of the nest for them to actually approach people, but when they did, they talked to a ton of people! They got to pray for a couple of huge tattooed bikers! These guys were really hard and tough looking, but when they started talking to them they softened up immediately and asked them to pray for them, and one asked for prayer for his mom who had cancer! We got the story of when the centurion had enough faith for Jesus to tell him that his daughter was healed without Him going to her. We don’t really know what happened, BUT us having the courage to talk to them inspired some Christians who were watching! 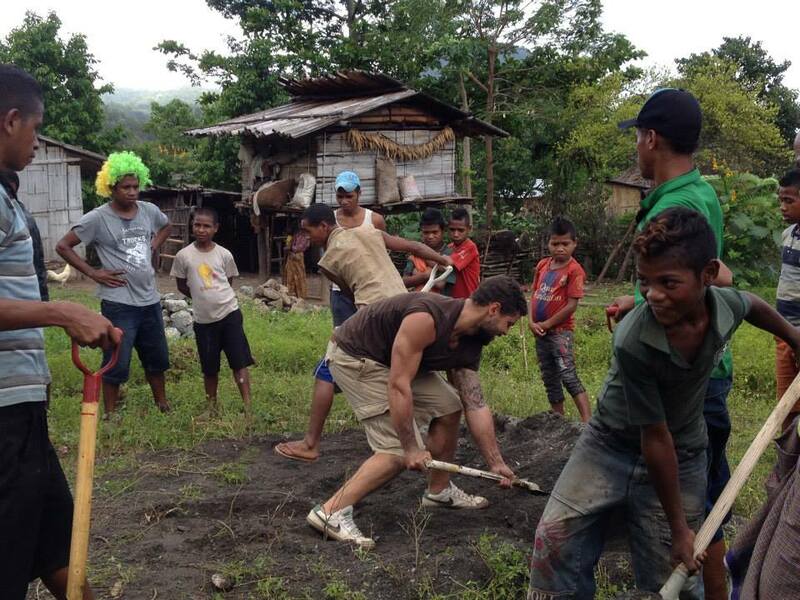 Building physical and spiritual foundations in a Jungle village! Testimony: This one is quite a long actually of how the project came into being! An amazing story I hope to share in another update (or you can email me for it). But basically we were the first team ever to go to this village, and on the first day there we saw 20 elders/leaders saved! The YWAM Dili Base Director (Anabel) shared the gospel (via the narrow/wide road passages) and I cried when I saw all there hands go up 🙂 The Holy Spirit was so evident! We were able to pray for all the converts, and are excited to see what the Lord continues to do in that village! 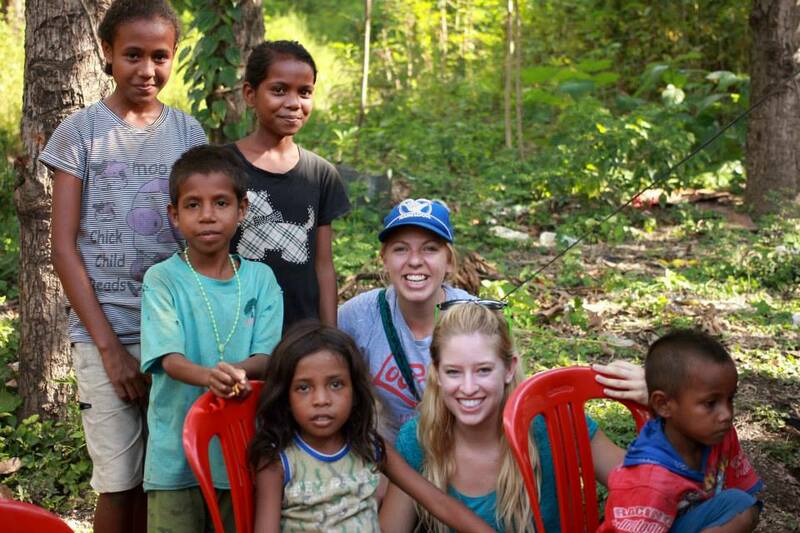 We were able to clear (of rocks, gravel, weeds etc), dig, and build a house foundation along with a ton of villages! It was so neat to work together with them! They were very keen on doing it well and really took ownership of the project. There are 78 more houses to build there in 7 years! It is for sure quite the spiritual and physical endeavour. 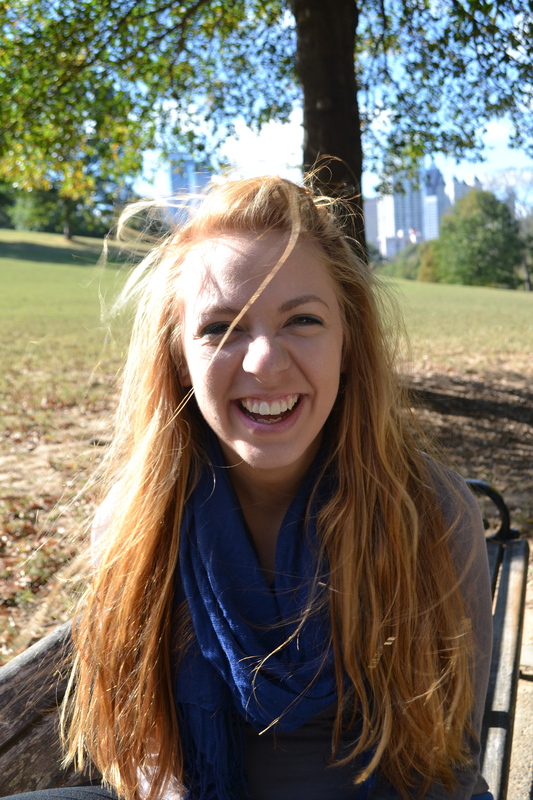 Testimony: Anna is awesome! She was our team artist 🙂 Kat and I encouraged her to start exercising her faith by listening to God for prophetic pictures for people and painting them. She flourished! For the longest time she thought she couldn’t hear God’s voice, but through the paintings it was confirmed over and over that she can! 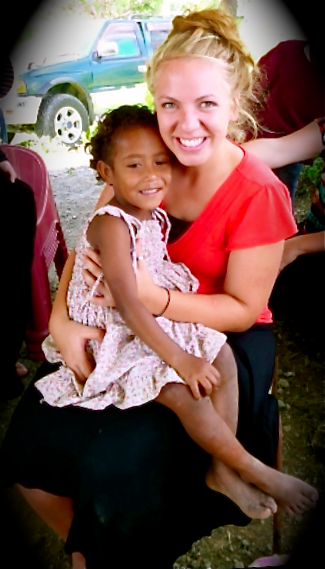 So incredible to watch her faith and discernment grow over outreach! Testimony: What a testimony of the students growth! Most of them had never spoken before in public, let alone preached a sermon! It was such an honour to help them, encourage them and even push them out of their comfort zones and see the Kingdom of God move through each of them as they listened to the Spirit to see what He was saying to each congregation, child, group, or family! 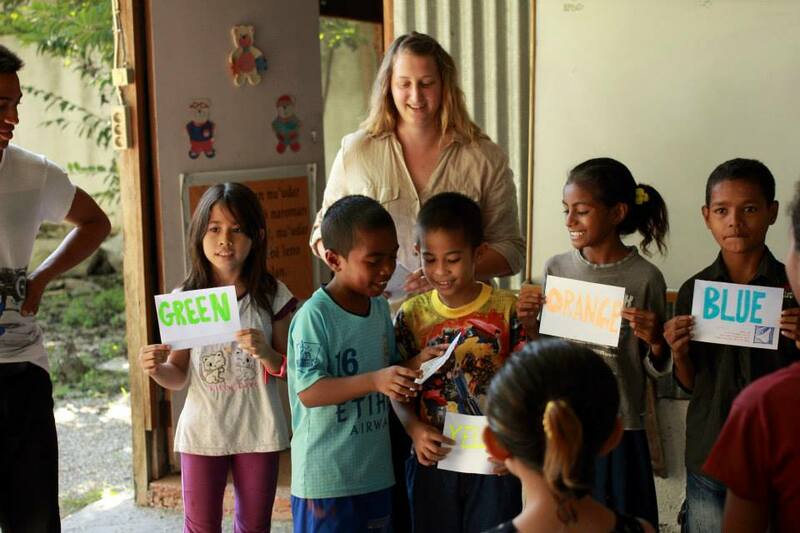 Testimony: One of the ladies on staff at YWAM Dili came out part way through our local kids program. We were in the middle of singing “Indescribable” for them just for fun and she actually told us later that she stopped and stared! They were all completely still, just staring up at us in awe! She said she had never seen such a reverence over these kids and she felt the Holy Spirit so strongly when she came closer! It was really encouraging to the team because something they’d been struggling with is the language barrier, and if people could be touched by some English worship songs! But the Spirit is the same yesterday, today and forever and isn’t bound by language!! There were so many times He used our worship music powerfully! Thank you SO MUCH for your prayers! Our entire team felt them everyday! We couldn’t have done what we did without that covering of prayer. There are so many more testimonies as well, but I think my favourite one over all was actually of our team itself! When we first left, none of them were really friends and I’d say everyone had extremely different personalities etc. Several of the girls had come to Kat and me asking for prayer because they were so nervous none of them (especially the girls) would get along! So we encouraged them for quite awhile to get over differences, to be unofffendable, and to be constantly asking Holy Spirit how to love each other. With the help of Holy Spirit and their own perseverance and willingness to surrender, they came through the end with the best friends they could ever ask for! I can’t tell how big of a miracle this is! It was actually something we were concerned about, so to watch such a love blossom and a strong team unit develop was AMAZING!! I love how unity is one of the most powerful tools of the Kingdom!! Sadly, our school is coming to an end and the students will be graduating in 2 weeks! It’s so crazy how fast the time has flown! This week we are investing in the community of Toowoomba and serving various ministries, churches and families! It’s so far been a very productive week! Also the students are in the process of recording a CD of their own songs, so it will be great to listen to that once it gets mixed and produced! 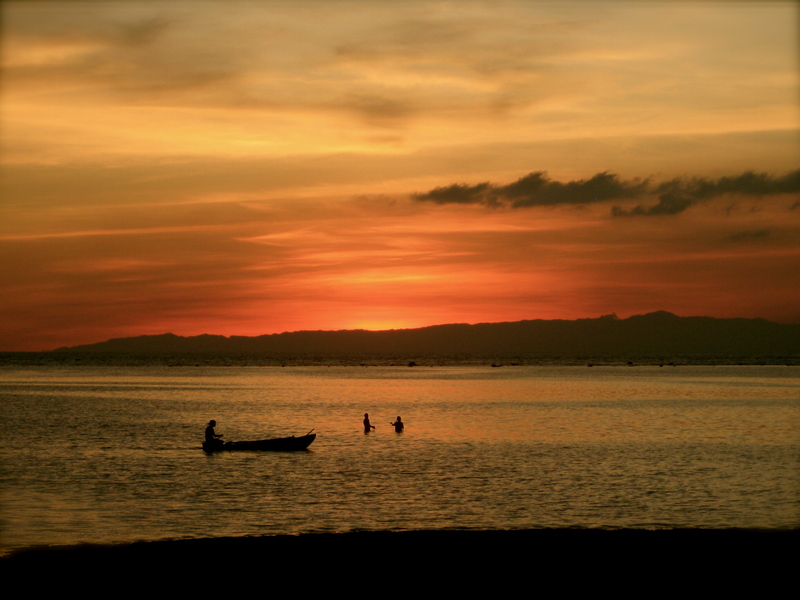 One of the many glorious sunset pics I got to take on the coast of Dili! :)) He is so creative, eh?? I am sitting here, honestly not really knowing what to write. BUT, I owe it to everybody to give this last update (not that I’ve died, but well, you’ll see). It doesn’t quite seem real to me. My surroundings at this present time are so familiar, yet so foreign. I must say, I never thought I would say this, that Canada is somewhat foreign to me! But no worries, because as you may or may not have guessed, I’m back! I will be fully Canadian again shortly. Yes, I, Hannah Elizabeth Macuzzi, world-traveler extraordinaire, am sitting in my childhood bedroom. I am chillin (literally!, it’s about 30 or 40 degrees colder up here), with my very own mother sitting downstairs on her favourite chair. Yep. I was de-nied. Coool story though. I honestly didn’t really see it coming, and I think that was the Lord’s mercy because if I had, I would not have dug so deeply where I was at, nor would I have been able to have been so focused on discipling and my leadership role in the worship aspect of the Dream Center and school. I was able to assist in getting our School of Worship up off the ground! By the time I left, I was pretty much co-running it. Which is so cool, because when I first applied to the school, I thought it was a worship school! It wasn’t, but only God knew that there would be one in the future and He used me to help start it! Anyways, so I got the denial notice in the mail on February 15th. It was a denial, but they gave me the opportunity to appeal the decision at the cost of $630 within 30 days. Also, I had a friend who was contacting senators and congressman for me. So, at that point I thought something was going to work out so I could stay. I spent 3 weeks trying to contact my lawyer. When I finally got in contact with her, she was not in favour of appealing because we had no new information and the reason they denied me was not technically appealable. So, I contacted my friend and told him I had about a week to get out of the country unless he had some news. He hadn’t had enough time to get any answers or help. Sooo, it just so happens that after I contacted my mom saying I needed to get out of the country in a week, my brother was in Ohio and I had exactly $200 from Christmas that I don’t even know why I hadn’t spent, and it was exactly $200 in gas to get up to Ohio from Atlanta. I had 3 of my schoolmates offer to drive me up and meet him. Few strange ‘coincidences’ (?maybenot? ), my American phone permanently died that week, and my one-time-only extended driver’s licence expired in a couple weeks. And any other way of transportation would have cost more than the $200 I had. ? Hmm interesting! Really cool testimony… There was so much going on last week, and I told the Lord “Lord, I will have absolutely no closure! It’s so fast and I don’t really have anything at home for me to do, what do I do??! I’m gonna leave and my heart will be left there because no one had time to give it back to me!” …. But because the Lord is completely faithful, and loving, He made sure that every student that was there encouraged me, loved on me, and sent me off. They rallied around and just poured out blessing on my life. I received so many words of life, prophetic encouragements, and hugs and testimonies of how the Lord used me, I had no doubts in my mind that the past years were in vain (stinkin enemy and his lies!) or that I went through that immigration process for nothing. The Lord was able to use His life in me to even effect and help transform the students that just came in January! I had no idea that I was such an influence until last week! Haha 🙂 It was a blessing to see how many lives the Lord touched. Seriously, without Him in me, I’ve realized that I’m a wreck. I got to teach/share with the School of Worship my last day there, about how I am still able to have joy and peace in the midst of trials and suffering. How I can be super sad, but yet supernaturally joyful at the same time! It was so cool to see that the Lord’s testimony in my life really does reveal Himself. Which is my goal! I just want people to see Jesus! I want them to know Him! I want His essence to be out rayed from my life (His glory to be revealed). 1 Peter 4: 12-13 Beloved, do not be surprised at the fiery trial when it comes upon you to test you, as though something strange were happening to you. But rejoice insofar as you share Christ’s sufferings, that you may also rejoice and be glad when his glory is revealed. I love His faithfulness! Intimacy comes from brokenness. It’s precious!! I wouldn’t trade this pain for anything, because I know His love so much more because of it. He is my Daddy, and Holy Spirit’s other name is Comforter! Praise God!! What kind of God is this that comforts His people? My God, that’s who!! I am also so excited because through this time, He has spoken to me in numerous ways that He IS in control, despite the fact that I am so out of control. Actually, funny, He told me that in His grace and mercy He pushed me off the edge because I was taking too long to jump 😛 Haha! Someone also told me that same day that she felt like the Lord was taking me out of my comfort zone and pushing me onward so that I could lean on Him alone again (funny part is that I had JUST gotten comfortable, haha He moves fast!!). I am so sorry this letter took so long in coming. Really, I have no excuses other than I’m not the greatest at communication 😛 Which I’m sure you already know if you know me! Haha! I first and foremost want to THANK YOU so incredibly much for your continued support and blessings and prayer and love!! I love walking with you in the Spirit 🙂 You are my family and I love you all so much! I miss you like crazy and hope and pray that I find myself with you again someday soon! Update on life in general: I just officially started my third year and life has been SUPER busy!! Haha I love it! 🙂 All of us just spent a week in Kentucky serving at the National Fine Arts Festival which is kind of like a Church’s Got Talent kind of deal 🙂 So we got to hang out with about 12000 junior and senior high students all week and we saw healings, and kids turning their lives around and people just giving up their lives for the Kingdom of God! It was amazing! Guess what?! I’m going to be the Assistant Director this year of our new Worship School! Super stoked about that! 🙂 I also recently joined the Sunday worship team for the Dream Center! And I’ll be traveling with the Master’s Worship band a bit too! We will be moving into our new dorms in a few weeks, we are completely stoked about that! God has blessed the socks off us for that one!! Basically we got a miracle deal on a dorm floor in a building near the hospital. The building is renovating and they are putting in a gym, a rec room, a coffee bar area, study areas, and a mail room! We’re going to be sharing with a couple colleges so there will be TONS of ministering opportunities! And they have reserved the roof for us to worship on. Also, God has been moving in our midst, and He is teaching us to reckon (to accept something as certain and place reliance on something) in our hearts His TRUTH! Which is amazing!! What would this world look life if God’s children literally reckoned the FACT (and it IS) that the King of Kings and Lord of Lords has made us a Fathered people? That He hasn’t left us as orphans! (John 14:18) Also that He has transferred us into His Kingdom and placed the fullness of His abundant Life in US! AH! So awesome!! Guys, life wouldn’t be normal. It would be stinkin supernatural. I encourage you to meditate on Romans 8!!! Incredible stuff. 3rd years, Pastor Dan and some guys we met and ministered to in Kentucky. Anyways, I gotta go but ya, I MISS YOU all and I pray that the Lord is blasting you with His presence on a daily basis and you are falling in love with the King of Kings. He is so worthy! Soo, These last two months have been Incredible!! The Lord is awesome!!! He has shown up again and again in glorious ways! 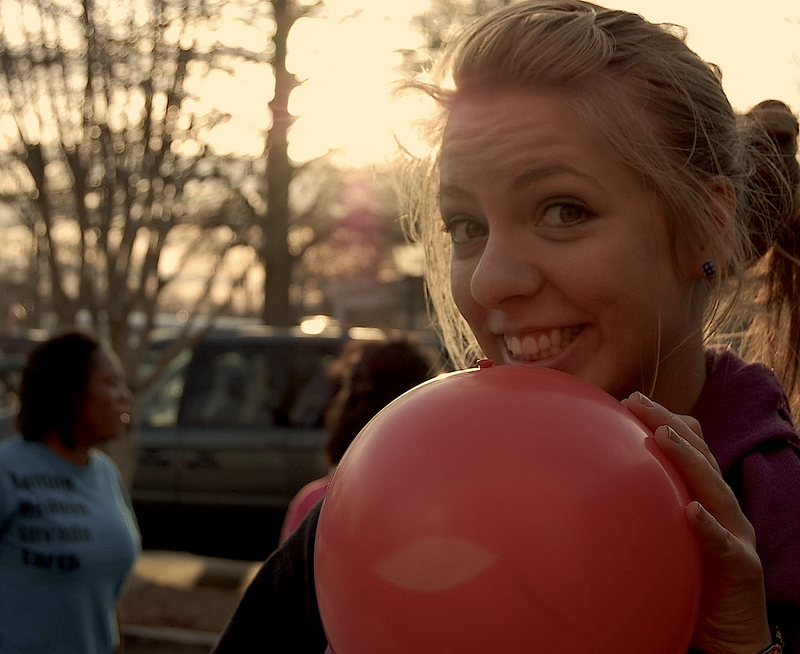 On outreach, at the dorms, in the prayer room, in worship. Right now we are going through some testing and stretching in regards to our love for each other and our unity, but He has laid it on a few of hearts to be in deep intercession for that and He is answering our cries!! Love is breaking out again randomly all over!!! For example, this past night a group of 11 of us spontaneously spent over 5 hours specifically speaking the Lord’s heart over each of one in the circle. It was so cool to hear what He was saying to everyone and He put a deeper love in our hearts, and He is replacing our (mine too!!) hearts with His. THAT is my deepest desire right now. To have His heart in EVERY situation!! 🙂 Cool thing is that a common theme from what everyone felt God tell them to tell me, was that very thing! That they saw the Lord’s heart on me and in me and that my love for people was HIS love!! SO AWESOME!! So I know He is definitely working in me 🙂 Praise the Lord!!! At the conference I had an incredible break through with dance!! As some may know, I’ve always been super insecure about dancing in corporate worship, even though the Lord has told me a gazillion times through a gazillion people that He wants me to do it anyways because He loves it when I dance with Him, (He actually literally said He missed me!!!!). Anyways, so I actually had stopped dancing for about a year when the Lord started speaking and confirming in random ways He wanted me to dance again (this was in December). Weeelll I kinda ignored it for awhile cuz I’m silly. But I’ve been slowly coming back and I’ll kinda do random spurts when I’m not lead vocals during worship sets. But on Friday night during worship, the band was going ALL OUT worshiping the Lord!! I felt saddened because earlier the crowd was screaming and cheering for a dance contest, but when it came to the Lord, people were just kinda chillin, just singing the words. So I kinda started feeling intense adoration start coming up from deep within, and I wanted with all my heart for the rest of His children to feel the same thing! That they would shout and scream and dance for their King even more wildly than for just humans doing dances, songs, dramas etc. that can’t even begin to compare to the talented angels in Heaven. I couldn’t contain myself anymore and all of a sudden the main singer got off the mic and started playing a really intense war beat on a drum along with the guitarist switching to a violin bow on his electric. And wabAM this was incredible music. You couldn’t help but move, yet NO ONE was!!! One of our students came out of nowhere and said she saw me dancing a kind of battle/tribal dance and I was like now way!!!! There is no room! Plus 1000 people could see me!!! …. At that point, Holy Spirit convicted me and told me to let go of my control and I ran out and found space in the middle of the crowd and bam!! I started interceding on behalf of my brothers and sisters to receive revelation of who our God is! And I was warfaring for them to worship in Spirit and in Truth! All of a sudden, this guy ran up out of nowhere and fell on his face weeping and crying out for the same thing my heart was crying out for. It felt like we were one in battle, me dancing what he was praying. So cool!! And my body started doing moves I’ve only seen and wished I could do! Holy Spirit took over and it was craaazy!! People started worshiping!! I saw others start to dance as well!! It was beautiful!!!! 🙂 I have never danced like that in my life, and I feel like God is saying, that’s just the start, girl 😀 Let me do it for you, and it goes way better! haha! Standing across the street from an abortion clinic. We were standing in front of traffic lights. Whenever it turned red we got a LOT of attention! Good and bad, it was really cool. We weren’t protesting, just praying and interceding! Well, now that it is almost Christmas… and I HAVE been meaning to do this for a couple months… REALLY…. I have finally written an update for my lovely friends, fans, family and pets back home in Canada!!! It doesn’t really feel like the Christmas season, as there is no snow and it has been around 15 degrees!!! Since I wrote those last two sentences, I am now in Tennessee! I’ll be spending Christmas here. I miss Canada, but it’s all good, and the Lord is definitely calling me into an intimate season where I can’t rely on anybody but Him to feel at home! This past week we had a guest speaker from California, Kenny Peavy. He knows Jesus Culture and Brian and Jenn Johnson! Haha he is super cool and flows with the Spirit insanely. He is a worship leader and has been involved with YWAM for about 15 years, he even directed a worship school with them for many years! He was hanging out with the worship team most of the week, teaching us about character and being unified as a team. He also just gave us all so much truth. We did this exercise where we wrote down all of our thoughts that hindered us from understanding how He sees us. Then we asked Holy Spirit to reveal the truth and wrote down all we heard that was opposite of the lie we believed. Then we all went and burned the lies outside and just went crazy with freedom after. It was amazing and everyone was so seriously free! 🙂 I feel like I’ve been cleared of a lot cobwebs and that the freedom that Jesus put in me that’s been buried for a long time is coming back out! I love it. A team went to Kenya with Pastor Dan again (I went with them last year) and the first day they were there, in Kisumu, something crazy happened!! One of the guys heard a scream during the night and in the morning it turned out to be that next door a mother had been screaming because she found her daughter murdered. 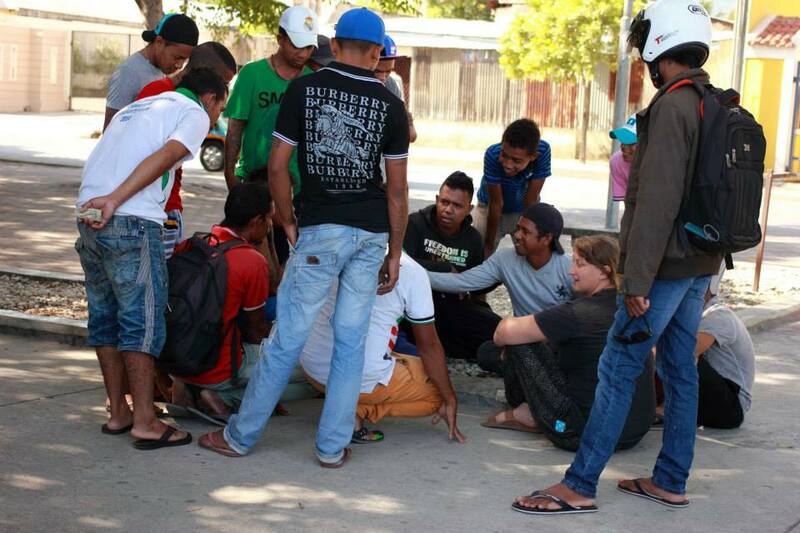 A large crowd came and said they needed a witch doctor to tell her who was the murderer. At first she said yes because she was distraught. So they went and paid the witch doctor. When he got there, she came to her senses (she’s a believer) and told him he could NOT enter her house. The crowd got mad and started becoming a mob and wanted the money back that they spent, but she didn’t have any money. They started throwing stuff at the house and beating her. Then for some reason (Jesus) they dispersed and left. Our team went and started encouraging and praying for the lady. While they were doing this, the mob came back! They surrounded them and were getting angry again and Pastor Dan kept praying, and whenever he yelled Jesus they would get confused and eventually it got chaotic and they were fighting with each other and stuff. Pastor Dan said that at one point he thought they were literally about to die, and all of a sudden the military police showed up out of nowhere and got everything under control!! Pastor Dan was in shock because they were in the middle of nowhere in a small village and there was definitely no police there! Anyways, that was cool! Then they were in Mombasa at a mosque debating with muslims (and keep in mind Kenya is under much unrest and apparently Al Qaeda is targeting Americans there!). And this one guy was actually persuaded enough to meet with Pastor Dan several times over the week and kept asking questions! They are still in touch and I think God’s got a hold on him 🙂 There were a TON of healings that happened too!! Many were healed from aids! A tumour shrunk, a baby was healed of sores in her mouth, a woman paralyzed could walk and many more! I’ve been learning that the power of prayer is unstoppable too!!! This a really cool testimony… my bunkmate, Celara, has been praying for the Lord to give her a singing voice! Now, she was completely tone deaf and I can attest to this 😀 Anyways… one night we were chilling in our room and she asked me to pray for her, so I did… That night we were all sleeping and the Lord literally opened her ears!! She started singing quietly and woke me up and I was in shock!! She sounded completely different, on tune and everything! The Lord is still working on it and she is getting better every day. It’s craaaaazy!!! He is also teaching me about intimacy! It is really beautiful and I am completely and utterly falling in love with Him. 🙂 He is showing me so much stuff about myself that I never saw before. Bad and good! The bad is getting purged and my heart is becoming more and more pure and the good is Him. He is good, and He is in me! My voice is actually changing oddly enough! He is expanding it and stretching it! I’m not sure how to describe it, but sometimes when we start going into the prophetic it’s like God is actually singing through me and my voice kinda gets a little lower and louder haha I’m learning from Him how to lead people deeper into His presence too! It actually comes from intimacy and knowing where He is going! All I have to do is follow! A couple first year students that I’ve only known for about 4 months have even commented that my voice is changing and they said it’s becoming angelic!! AH! I can’t wait to see what Jesus does through me. Kenny prophesied that I will be able to see locks in people during worship and God will give me the right keys through song that will unlock them. I’m so excited for that to happen!! I love it when people are freed! Another really cool thing is being a 2nd year here! At first I didn’t have a one-on-one (mentoring a first year girl) because there were too many 2nd year girls! So I was really bummed because I was looking forward to specifically discipling someone! But anyways… during the first 2 months I prayed that I would kind of become like a mom to all the girls and that He would use me to give wisdom and love. And out of the blue, the girls just started coming to me with their problems or just to get hugs or random things like that! Sooo… I’m gonna back it up a bit to me being on the Outreach Team. We usually travel a lot and there are no first years on travel til January so normally we as a team don’t get to bond much with them… but for some reasons that the Lord obviously had (although at the time I was kind of not seeing any good reasons) I didn’t end up going on the two biggest trips to Kansas and Arkansas. Anyways, in hindsight it ended up being that during those weeks that everyone was gone except a couple 3rd and 2nd years and all the first years, I got super close to the first years!! And I ended up being available to disciple and mentor them and share a gift that I recently discovered God gave me. The gift of wisdom! So now I am trusted and I get to watch them grow and change from being who they were to being completely and totally new people that are radical to do supernatural things and be pure!! He also taught me a buttload of trust. He knows best! He did so many awesome things in Atlanta that I obviously wasn’t supposed to miss :)) But this next year I will be traveling to a few different states including Texas and Ohio. A lot of the students are struggling with tuition, so we took an offering last week and from Master’s Commission (as in us poor students) we raised over 4,000 dollars! These students are making a huge difference in the city of Atlanta and especially in the community of the Old Fourth Ward. From the little kids on the street who have no parents that smile when we love them, to the dope boys who start coming to church and get real jobs from meeting us on the street, to the mamas who’s kids come home happy after hanging out with MetroKidz, to the homeless men and women we give food and prayer too, that decide to travel by foot and bus to get to church to see what makes us who we are. So many cool things happen! If you would like to help support what God is doing down here by prayer, that would be much appreciated!! And you can specify in a letter whether it goes to myself or the student most in need. Or you can donate online (which is probably easiest :)) at http://atldcmc.org/home.cfm and click on the bottom left of the page the donate button. I love you guys SO MUCH!!! And I pray Ephesians 3:17 over all of you, that He would give you the Spirit of Wisdom and Revelation, and that the eyes of your hearts are enlightened so that you know the power and hope which He has called you to. Xoxoxoxo Talk to you again soon! Feel free to send letters to me at that same address… I’d love to get them! I will be back in Ottawa on June 8th, so look forward to seeing some of you then! Please keep me in your prayers and thoughts, you are in mine! 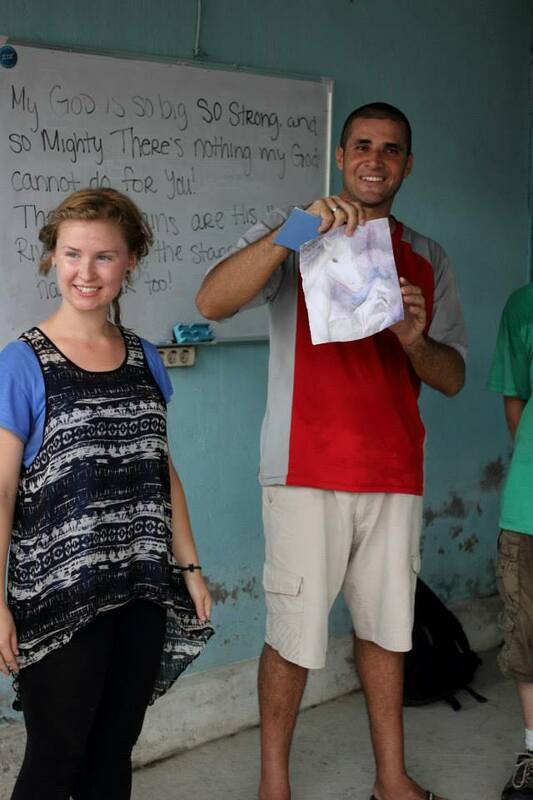 This year I will be a second year and a more involved part of our traveling outreach team. I have more of a leadership role in worship and outreach, and have more responsibilities all around. I will be mentoring and discipling a first year, my one-on-one. And I will be on the traveling team again! This is a team of 15 out of the 50 students traveling throughout the United States who share the gospel in places such as public and Christian schools, nursing homes, churches, youth groups, hospitals, conferences etc. using the arts! We use a combination of drama, step, dance, stomp, spoken word, rap, worship and speaking to get our message across. WHAT: This is a year that emphasizes hands on training and experience along with academic understanding of the Kingdom of God and the power thereof, causing one to no longer echo the latest sermon but to become the very Word of God. This next year is not bound to an area or aspect of ministry, but to the Kingdom of God. We are dedicated to hearing the voice of the Father and doing His will. 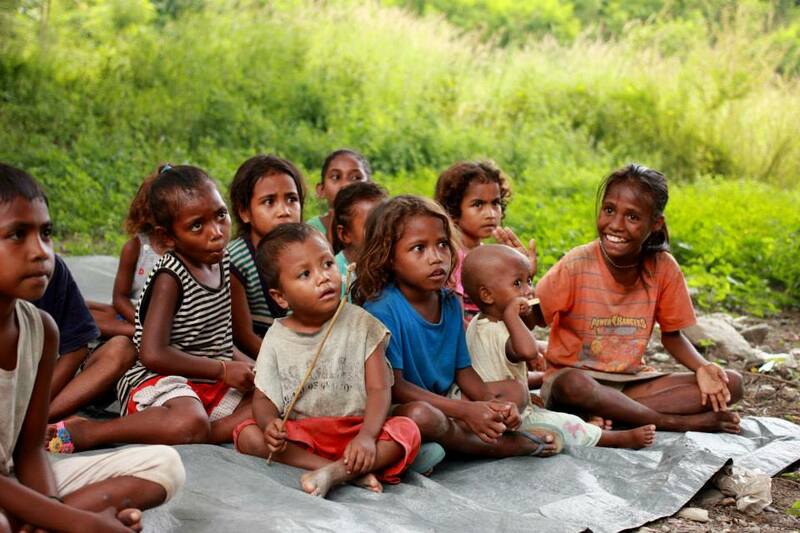 Our Mission is to disciple His people to hear, to know, and to obey the voice of God. A result of this abandoned lifestyle allows the power of the Kingdom of God to transform your life and the ones around you through the supernatural (i.e.shriveled hands opened, deaf ears hearing, the lame walking, the dead being raised and the greatest of all- salvation). We become a damaging force against the kingdom of darkness for the Glory of God. Worship Training: Learning to be led by the Holy Spirit, The role of the Holy Spirit in Worship, Reality and Freedom In Worship, The Prophetic Nature of Worship, Biblical and Historical Foundations, Songwriting and Musicianship, Leadership and Team Development, Worship, Intercession and Spiritual Warfare, How to go yourself and lead others into His presence. I graduate the beginning of June and should be back in Ottawa soon after. This year I am going to actually keep up the updates and will even have accountability so as to not fall so far behind. This last year was life-changing and I can’t wait to start another one!